A version of Mr Mosebach’s remarks can be found HERE. The “six theses” were first given before a (hostile to indifferent) audience at one of the German national Catholic Conferences (Katholikentag). It will be reprinted in a book of Mr. Mosebach shortly to be published in English translation, “Subversive Catholicism” (original title: Der Ultramontane). For a review of the German original see HERE. This year we welcome a new edition of a book that is, for the Catholic Traditionalist, one of the most basic books of all. Since 2002, The Heresy of Formlessness has remained the best introductory text to Catholic Traditionalism. It provides the substantive reasons for adhering to the Old Rite. Instead of the usual Roman Catholic focus on legal questions of validity and authority, this book takes as its starting point how the Mass – Traditional, “Novus Ordo” and Eastern – is experienced today. For Mosebach combines a novelist’s gift of depiction with great knowledge – both practical and theoretical – of the liturgy in all its forms. This new edition is a revision of the previous 2006 translation published by Ignatius Press, augmented by six essays, some of which have been published (and translated) before. Jettisoned is Fr Fessio’s unique foreword which criticized the very book it was introducing. 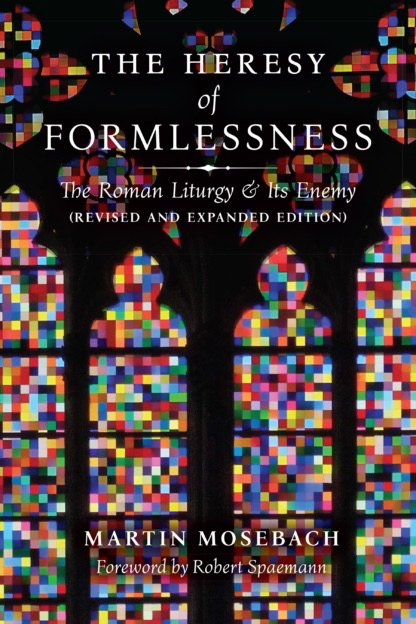 But much has changed since 2002 when The Heresy of Formlessness first appeared in German! In those years, the Traditional liturgy – especially in Germany – was very much an underground phenomenon, the province of “outsiders.” Today, especially in the United States in the wake of Summorum Pontificum, the Traditional Mass can be encountered more or less frequently – often celebrated with great ceremony and splendor. This edition has a new, important foreword by Robert Spaemann – to whom the book is dedicated. Spaemann outlines for us the German context of The Heresy of Formlessness. In Germany, the opposition of the clergy to the Traditional Liturgy remains fierce and unbroken to the present day. Moreover, the spirit of progressivism has maintained absolute, quasi-totalitarian dominance In Germany for decades now. Spaemann illustrates this with examples of the Novus Ordo liturgies he has experienced everywhere. Given such a closed, asphyxiating environment, in 2002 Mosebach’s book broke all the taboos. Mosebach opened a discussion on the liturgy that the establishment has not been able to silence since. Here we see Mosebach drawing out the meaning of details that even in current celebrations of the Traditional Liturgy are often given summary treatment. But, at the same time, does this discussion not show how far we have come from the days when an indifferently celebrated Low Mass was the best we could hope for? For nowadays in most places the goal is not just survival of the Roman liturgy but to make it as perfect as our poor human efforts can achieve. Let us not delude ourselves: even in the United States the Traditional liturgy remains suspect to the establishment, an anxiously monitored phenomenon. And I do not have to review for the readers of this blog developments elsewhere. But despite all these shadows, we can affirm that what Martin Mosebach in The Heresy of Formlessness celebrated, predicted and advocated as a lone voice in 2002 has to a not inconsiderable extent been realized. Those who have not read this book owe it to themselves to do so! Verteidigung der Tradition: Die unüberwindbare Wahrheit Christi. The current age of the Church is of unmatched doctrinal confusion. Every dogma, every rule of morality is directly challenged by those within the church. And those claiming supreme teaching authority are exacerbating the confusion. Pope Francis has formally taught doctrines hardly reconcilable with the prior course of Catholic teaching. He has also confirmed, “with magisterial authority” the practices (presumably liturgical) of the Second Vatican Council. And then there is the series of canonizations of the heroes of Catholic modernity. This has left Catholics – particularly those who imagined themselves papal loyalists – in an increasingly dire situation. Professor Roberto de Mattei in this slim volume offers intellectual assistance. The first half of In Defense of Tradition is a review of pre-conciliar church history. Critical moments are highlighted in which the institutional church and specifically the papacy initially failed to stand up to political and theological challenges. These existential crises finally were surmounted or contained only by the joint action of all members of the Church: the ordinary laity, the doctors of the church, the councils, the episcopate, the new religious orders, the papacy – and, we should not forget, the secular rulers. In the course of these conflicts issues such as the possibility of papal heresy and the duty to correct hierarchs and even popes were freely discussed and acknowledged. We may wonder about the purpose of the first half of this book. Is it addressed to those few remaining true blue Catholics (like Opus Dei soldiers?) who conceive of church history as one triumphant progress under the day-to-day direction of an always infallible papacy? For I would expect that readers interested in a book like this (and who perhaps have read previous works of de Mattei and Mosebach) would be familiar with most of these historical facts. Rather, I think this historical outline “lays the foundation” for the specific discussion of tradition in the second half of this book. For it shows that exclusive concentration on the actions and pronouncements of the hierarchy and the papacy is an inadequate historical and theological basis for understanding the Church and its history. Yes, the Church and the papacy did endure these assaults in the past. But what then was the principle that enabled the Church to survive? Now the most significant part is de Mattei’s theological exposition of the meaning of tradition in the second half of his book. For it was though faithfulness to tradition that the prior crises of the Church were overcome. What is tradition? It is the deposit of faith handed down from Christ to the Church. Indeed, for the first decades of her existence, the Church had to rely exclusively on tradition – the first scriptures were only gradually being written. This tradition is the true “rule of faith” made manifest in many ways over the course of history but above all in the liturgy. Relying on extensive theological literature, de Mattei in particular takes pains to distinguish tradition from the Church’s teaching authority or magisterium (itself a very late concept to develop). The magisterium is not a “source” of truth or creator of tradition, but rather an authority or “function” bestowed upon the Church. De Mattei clearly expounds and defines the sources of theological truth, the meaning of “Church” and the meaning of magisterium. He warns against the concept of a free-floating magisterium as the ultimate criterion of truth. Outside of the “solemn magisterium” the so-called “ordinary magisterium” can acquire a character of infallibility only when it is in harmony with tradition. De Mattei also takes issue with the notion of “hermeneutics” as the key to discerning tradition. For that concept introduces a “subjective” element which shifts the focus from objective tradition to the interpreting subject. This precious second half of In Defense of Tradition provides the Catholic reader with the clearest and most succinct exposition of these issues of which I know. Marin Mosebach has contributed a forceful introduction to the German translation of de Mattei’s book. For there has been a very significant shift in the ecclesiastical context since 2011, the year of this book’s original publication. At that time, the author did have to define and justify tradition against the claims of the Second Vatican Council and its implementors. But he also had to defend the authority of Pope Benedict XVI against a renewed tide of anti-papal rage fostered by the Catholic progressives and specifically by the Catholic church in Germany. Today, under Bergoglio, we have both the greatest rupture with Catholic doctrine and practice since the 1960’s combined with unlimited assertions of the scope of the magisterium. Roberto de Mattei wants to show his readers how to remain a Catholic loyal to the pope without as a consequence becoming deaf and blind. In Defense of Tradition answers a real need. This brief handbook and guide will serve well in this time of crisis. 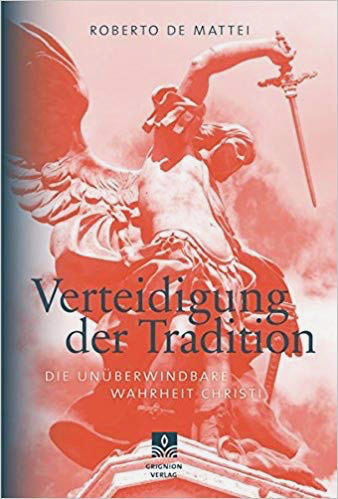 Evidence of the interest in this text was the presentation of this book on July 9 at a well-attended conference in Munich with both de Mattei and Mosebach (among others) speaking. Fortunately, we understand an English translation will be forthcoming shortly. from Martin Mosebach in the New Liturgical Movement. A continuation of the debate occasioned by the liturgical “pastoral adaptations” in the concluding mass of this year’s Chartres pilgrimage. Somebody finally scrutinized what is going on…. NLM is delighted to be able to share with our readers an exclusive translation of a refreshingly direct letter written by the German novelist Martin Mosebach, who is well-known to lovers of the traditional liturgy for his book The Heresy of Formlessness, recently back in print in a revised and expanded edition by Angelico Press (see here). Mr. Mosebach’s letter, which appeared in Die Tagespost on July 28, was prompted by an article of Fr Engelbert Recktenwald FSSP that had appeared in the same paper exactly one month before. (Readers may recall that Fr Recktenwald’s charges of aestheticism, rubricism, and purism have been the subject of two rebuttals at NLM: this and this.) Those who love the usus antiquior will find this letter a most succint and elegant statement of the essence of the matter. Our thanks to Stuart Chessman of the Society of St. Hugh of Cluny for his translation, and to the author for his permission to publish it here. We only can agree with Fr Recktenwald FSSP when he regards with pride and joy the thirtieth anniversary of the Fraternity of St Peter (of which he is a cofounder). There can’t be enough orders, fraternities, and institutes that are dedicated to the preservation of Tradition. Based on this success, it would perhaps also have been still possible not to emphasize all too strongly the conflict with the FSSPX from which the FSSP emerged. It is an incontestable fact that liturgical Tradition would have come to an end except for the actions of Archbishop Lefebvre. In a critical hour in the history of the Church, Lefebvre provided emergency assistance to a Rome impaired in its freedom of action, and in so doing took upon himself the odium of disobedience. It seems that Rome also has adopted this view, by revoking the excommunication of the bishops consecrated by Lefebvre and by the papal declaration that the old Rite had never been abolished because it really never could be abolished. Gratitude for the 30 years of the FSSP must always go hand in hand with gratitude towards Archbishop Lefebvre — even if the FSSP arose from a conflict with him. Very surprising is Fr Recktenwald’s criticism of laymen knowledgeable in the liturgy, who stand up for Gregorian chant and the reading of the Gospel in Latin. As for the preservation of Tradition, Fr Recktenwald obviously has in mind the practice of the 1950’s, in which the singing of lengthy hymns often obscured the liturgical action. The liturgical reform was felt necessary in part just because of this two-track situation. Whoever would like to get to know the old rite better is disturbed by the singing of (not always first-class) hymns. The locations where the old rite is celebrated are not so numerous that a great variety of celebrations of the Mass can be offered. He who is seeking out the old rite will primarily be looking for a Mass that is “totally other” than the usual celebrations of the Eucharist — even, it should be noted, those completely reverential new Masses that fortunately exist in many places. But adoration is impaired because the priest, not the Cross, is the center. The norm of the Mass is precisely the solemn chanted liturgy. Fr Recktenwald should rather rejoice that the liturgical crisis has brought forth so many laypeople knowledgeable in the liturgy. But it may be difficult for him that this same crisis has discredited the concept of “pastoral.” “Pastoral” is understood more than ever as a clerical paternalism that pretends to know “what’s good for the people.” We cannot reproach anyone for this distrust. We continue to remember that the great crisis proceeded from the clergy. In this respect, the movement for liturgical Tradition belongs absolutely to the new spiritual movements, which are distinguished by a strong participation of the laity. In the interest of justice, it should be mentioned that, internationally, the line propagated by Fr Recktenwald is probably in the minority. The grand liturgies in Ssma Trinità dei Pellegrini, the Roman church of the FSSP, can be considered exemplary for the universal Church. (Above) Image of the Twenty-one in a revived “Coptic” style. The common people usually prefer cruder but more expressive images. The image on the cover of a magazine had attracted me. It showed the head of a young man, apparently a Mediterranean type, surrounded by some orange-colored material. He’s a thin young man with brownish skin, a low hairline, and a not very thick mustache, the eyes half closed. The narrow lips are slightly open and let a little of the teeth be seen. It’s not a smile, rather a sign of deep relaxation, in which the mouth involuntarily opens for a deep breath or a sigh. But then I discovered that the cropped image shown on the magazine had misled me. I hadn’t realized at first that the head had been separated from the body. Martin Mosebach opens his new book with this startling image. Die 21 tells of his pilgrimage last year to the land of the twenty-one Coptic men who were killed in 2015 by ISIS in Libya. Part reportage on current events, part travel narrative and part modern day hagiography, Die 21 also addresses liturgy, art, history and theology. Stylistically, Die 21 ranges from precise, almost scientific, descriptive prose to images alternately poetic, shocking and surrealistic. The only work I know that resembles it somewhat in both subject matter and style is Joris-Karl Huysmans’s Les Foules de Lourdes (1908). Mosebach takes us on a journey of exploration to another world, where the spiritual remains a dimension of ordinary life. For those whose understanding of Christianity is derived from the moribund Roman Catholic Church of the West – the decadent clergy, the “mature Christians” of the financial centers and well-to-do suburbs, the enthusiasts of the “new movements” – Mosebach’s book will be either a destabilizing confrontation with a world thought overcome or a welcome revelation that the Christian Faith still lives on upon this earth. Mosebach first tells of the martyrdom itself by minutely describing the main evidence of it: the horrifying, very professional video prepared by ISIS of the beheading of these men. The martyrs show no signs of excitement or anguish and above all do not plead for mercy. On their faces only quiet resolve and recollection are visible. The last word on the lips of several was “Jesus.” Twenty were Copts – Egyptian Christians – most of them from a single village. A stranger, a black man from Ghana, had joined them in martyrdom. In the most moving part of his narrative Mosebach visits the village from which most of the martyrs hailed. They were just “ordinary guys.” Some could not read. Their families live in what we might consider extremely modest circumstances: farm animals dwell together with their owners in the same dwelling, swallows fly through the house during interviews. In his conversations with the martyrs’ families Mosebach records very little emotion – no enthusiasm, outward grief, rancor or desire for vengeance. Rather, similar to the attitude of the martyrs themselves, there is a quiet acceptance and a kind of modest pride in having now such advocates in heaven. For among the Copts the spiritual is still an omnipresent reality. The martyrs’ families tell of the premonitions and signs that they now understand foretold the martyrdom of their children or husbands. Indeed, some of the men themselves seem to have had a presentiment that they would never return from Libya. And now, through the martyrs’ intercession, miracles and cures are taking place as well. Devotion to the 21 is spreading throughout Egypt. Even Muslims come by to request their help. Yes, the world of the Copts is in so many ways that of the early Church. Persecution is a daily reality. Heavily armed guards are ubiquitous around Coptic institutions and villages. A bishop is unavailable to speak to Mosebach because he has been called to another location to care for girls who have been raped. A priest Mosebach is interviewing somewhat reluctantly admits to having been beaten severely in Libya – and then having been freed by a guard who apparently was impressed by this steadfastness. The priest immediately compared this to St. Peter’s escape form prison through the intervention of an angel. For the Copts are always ready to refer to the words of scripture, of which they have a great living knowledge, for analogies to their present trials and crises. Even though many cannot read, the bible is held with great reverence. The source and center of the Copts’ spiritual life, however, is their liturgy. The Coptic Mass lasts three hours. It is celebrated in Greek and Coptic, languages nobody today “understands.” Yet the often-illiterate martyrs drew great spiritual treasures and strength from it. The entire Divine Liturgy is sung. Six of he martyrs were ordained “hymn-singers” – the others knew the Mass by heart. “They were totally absorbed (Mosebach states)by the rite – which in many cases in the Western world isn’t possible anymore even for monks.” Is it surprising that monasticism also remains of preeminent importance in Coptic spirituality? The Coptic Church today is booming. New churches, monasteries, hospitals and schools are springing up everywhere. Formal instruction in the faith is expanding. Attracting the young people is no problem (perhaps not that difficult in a country where half the population is under 25). What the West perceives as contradictions: magnificence of the Traditional liturgy, service to the poor, martyrdom – are understood by the Copts as self-evidently inseparably linked. Die 21 ends on a more somber, ambiguous note as, in the final chapters, the scene shifts to Cairo. Mosebach lets us experience the truly infernal quarter where the Coptic rag pickers of the city dwell – but this “ghetto” has given birth to a grand cathedral–like shrine and new residential areas. Yet, only a short drive away from the chaotic city of Cairo, an alien force, a new shopping mall, has set down in the desert. It offers to a traditional society a Western fantasy world of air conditioning and unlimited merchandise. For here and there throughout this book we are shown that Coptic and Egyptian life is changing: new homes, new churches, changing economic conditions. In a sense, Mosebach tells us, the Egyptians live between two ages – one coming to an end and the other not yet formed. And, for the Copts, the threat of attack is ever-present. In a country where Islam is the state religion, the government is unpredictable – now protecting, now harassing or even persecuting the Christian minority. In Die 21 Martin Mosebach has given us his most significant work of religious non-fiction since The Heresy of Formlessness. It must have been a source of great satisfaction to the author to present to the world a flourishing Christian culture that in many ways confirms the theses on the traditional liturgies and their role in the Church for which Mosebach himself has argued for many years. Of course, from another perspective, Die 21 can be read as a point-by-point critique of the institutional Roman Catholic Church as it exists today in Western Europe and the United States. Die 21 indeed is an extraordinary commemoration of the contemporary martyrs of Egypt and of the Church and community that formed them. But at the same time it stands as a stern challenge and rebuke to us who have so much more than the Copts – at least as the world understands it – yet, as we must confess to our shame, have allowed our faith to dwindle away. One shouldn’t call a “cult of personality” the papal devotional items that are offered to the hordes of pilgrims and tourists round about Saint Peter’s in Rome: postcards and calendars, coffee cups and silk cloths, plates and plastic gadgets of every kind, always with the picture of the currently happily reigning Holy Father—and next to them also those of Popes John Paul II, John XXIII, and even Paul VI. There is only one pope you will not find in any of the souvenir shops—and I mean in none, as if there were a conspiracy here. To dig up a postcard with the picture of Benedict XVI requires the tenacity of a private detective. Imperial Rome knew the institution of damnatio memoriae: the extinction of the memory of condemned enemies of the state. Thus, Emperor Caracalla had the name of his brother Geta — after he had killed him—chiseled out of the inscription on the triumphal arch of Septimius Severus. It seems as if the dealers in devotional goods and probably also their customers (for the trade in rosaries also obeys the market laws of supply and demand) had jointly imposed such an ancient Roman damnatio memoriae on the predecessor of the current pope. It is as if, on this trivial level, should be accomplished that which Benedict himself could not resolve to do after his resignation (disturbing to so many people, profoundly inexplicable and still unexplained)—namely, to become invisible, to enter into an unbroken silence. Those especially who accompanied the pontificate of Benedict XVI with love and hope could not get over the fact that it was this very pope who, with this dramatic step, called into question his great work of reform for the Church. Future generations may be able without anger and enthusiasm to speak about this presumably last chapter in the life of Benedict XVI. The distance in time will place these events in a greater, not yet foreseeable order. For the participating contemporary, however, this distance is not available because he remains defenseless in the face of the immediate consequences of this decision. To speak about Benedict XVI today means first of all trying to overcome these feelings of pain and disappointment. All the more so, because during his reign this pope undertook to heal the great wounds that had been inflicted on the visible body of the Church in the time after the Council. The party that had assembled against tradition at the Council viewed the compromise formulas that had settled the conflict in many conciliar documents only as stages in the grand war for the future shape of the Church. The “spirit of the Council” began to be played off against the literal text of the conciliar decisions. Disastrously, the implementation of the conciliar decrees was caught up in the cultural revolution of 1968, which had broken out all over the world. That was certainly the work of a spirit—if only of a very impure one. The political subversion of every kind of authority, the aesthetic vulgarity, the philosophical demolition of tradition not only laid waste universities and schools and poisoned the public atmosphere but at the same time took possession of broad circles within the Church. Distrust of tradition, elimination of tradition began to spread in, of all places, an entity whose essence consists totally of tradition—so much so that one has to say the Church is nothing without tradition. So the post-conciliar battle that had broken out in so many places against tradition was nothing else but the attempted suicide of the Church—a literally absurd, nihilistic process. We all can recall how bishops and theology professors, pastors and the functionaries of Catholic organizations proclaimed with a confident victorious tone that with the Second Vatican Council a new Pentecost had come upon the Church—which none of those famous Councils of history which had so decisively shaped the development of the Faith had ever claimed. A “new Pentecost” means nothing less than a new illumination, possibly one that would surpass that received two thousand years ago; why not advance immediately to the “Third Testament” from the Education of the Human Race 2) of Gotthold Ephraim Lessing? In the view of these people, Vatican II meant a break with the Tradition as it existed up till then, and this breach was salutary. Whoever listened to this could have believed that the Catholic religion had found itself really only after Vatican II. All previous generations—to which we who sit here owe our faith—are supposed to have remained in an outer courtyard of immaturity. To be fair, we should remember that the popes attempted to counter this — with a weak voice and above all without the will to intervene in these aberrations with an organizing hand as the ruler of the Church. Only a very few individual heresiarchs were disciplined—those who with their arrogant insolence practically forced their own reprimand. But the great mass of the “new Pentecostals,” unrestrained and protected by widespread networks, could continue to exercise a tremendous influence on the day-to-day life of the Church. So, for outside observers, the claim that with Vatican II the Church had broken with her past became ever more probable. Anyone accustomed to trusting his eyes and ears could no longer convince himself that this was still the Church that had remained faithful for thousands of years, through all the changes of the ages. The German Catholic legal scholar Carl Schmitt made the following scornful rhyme: “Heraclitus taught that all things flow; the rock of Peter—it’s flowing too.” 3) An iconoclastic attack like the worst years of the Reformation swept through the churches; in the seminaries the “demythologizing of Christianity” à la Bultmann was propagated; the end of priestly celibacy was celebrated as something imminent; religious instruction was largely abandoned, even in Germany, which had been highly favored in this regard; priests gave up clerical attire; the sacred language — which the liturgical constitution of the Council had just solemnly confirmed 4) — was abandoned. All this happened, so it was said, to prepare for the future, otherwise the faithful couldn’t be kept in the Church. The hierarchy argued like the proprietors of a department store, who didn’t want to sit on their wares and so tossed them out to the people at throwaway prices. Regrettably the comparison isn’t exact, for the people had no interest in the discounted products. After the “new Pentecost” there began an exodus out of the Church, the monasteries, and the seminaries. The Church unrestrainedly pushing ahead with her revolution, continued to lose both attractiveness and retentive capacity. She resembled that baffled tailor who, looking at a badly cut pair of trousers while shaking his head, muttered: “I’ve cut you off three times and you’re still too short!” It is claimed that this exodus from the Church would also have happened without the revolution. Let’s conditionally accept for the moment this claim. If that had really been the case, however, the great revolution would not have been necessary at all. On the contrary, the flock remaining in the Church would have been able to persevere in faith under the “sign that will be contradicted” (Lk 2:34). There’s not one argument in favor of the post-conciliar revolution; I certainly haven’t encountered any yet. Pope Benedict could not and would never allow himself to think in that way, even if in lonely hours it may have been difficult for him to defend himself against an assault of such thoughts. In no way did he want to abandon the image of the Church as a harmoniously growing organism under the protection of the Holy Spirit. With his historical consciousness it was also clear to him that history can never be turned back, that it is impossible as well as reckless to try to make what has happened “unhappen.” Even the God who forgives sins does not make them “undone,” but in the best case lets them become a felix culpa. From this perspective, Benedict could not accept what the progressives and traditionalists expressed equally and with the best reasons: that in the post-conciliar era a decisive break with Tradition had indeed occurred; that the Church before and after the Council was not the same institution. That would have meant that the Church was no longer under the guidance of the Holy Spirit; consequently, she had ceased to be the Church. One cannot imagine the theologian Joseph Ratzinger as laboring under a naive, formalistic faith. The twists and turns of ecclesiastical history were very familiar to him. That in the past, too, there had been in the Church bad popes, misguided theologians, and questionable circumstances was never hidden from him. But, while contemplating ecclesiastical history, he felt borne up by the indisputable impression that the Church, in constant development, had again and again overcome her crises not simply by cutting off mistaken developments but by making them, if possible, even fruitful in the succeeding generations. It thus appeared to him imperative to combat the idea that this rupture had really occurred—even if all the appearances seemed to argue for it. His efforts aimed at attempting to remove from men’s minds the assertion of such a rupture. This attempt has an air of legal positivism 5) about it, a disregarding of the facts. Please do not understand it as irony when I quote in this context the famous lines of the great absurdist poet Christian Morgenstern: “what may not be, cannot be!” 6) The Church can never exist in contradiction to itself, to tradition, to revelation, to the doctrines of the Fathers and to the totality of the Councils. This she cannot do; even when it appears as if indeed she has done so, it is a false appearance. A more profound hermeneutic will finally always prove that the contradiction was not a real one. An inexhaustible confidence in the action of the Holy Spirit resides in this attitude. A cynical outside observer could speak of a “holy slyness.” In any case, this standpoint can be justified from both perspectives: that of trust in God and that of Machiavellianism. For a glance at ecclesiastical history shows that the continuation of the Church was always connected with a firm faith (or at least a fearlessly asserted fiction) that the Holy Spirit guided the Church in every phase. What Pope Benedict called the “hermeneutic of rupture” — whether asserted by the traditionalist or progressive side — was for him an attack on the essence of the Church, which consists of continuity without a rupture. Therefore he would always talk of the concept of a “hermeneutic of continuity.” That was not so much a theological program nor a foundation for concrete decisions but an attempt to win others over to an attitude of mind—the only one from which a recovery of the Church could arise. When, finally, all would have understood that the Church does not and cannot rely on ruptures and revolutions, then the hierarchy and theologians would, of their own accord, find their way back to a harmonious development of Tradition. From these thoughts speaks an almost Far Eastern wisdom, a principled distrust of all manipulations and the conviction that decrees issued from a desk cannot end a spiritual crisis. “Les choses se font en ne les faisant pas.” No Chinese said that but the French foreign minister Talleyrand, who after all was a Catholic bishop. “Things get done by doing nothing” 7) — that’s an everyday experience; everyone may have encountered it once. But it is also a profound insight into the course of history, in which great developments remain uninfluenced by the plans of man — however excitedly the political protagonists in the foreground of the present day may gesticulate. That was what Benedict, as Cardinal and Prefect of the Congregation for the Doctrine of the Faith, had already criticized in Paul VI’s reform of the Mass. Here organic growth, the development shaped by the imperceptible hand of time, had been interrupted by a bureaucratic act, a “dictatus papae.” It appeared to him to be not just hopeless but even forbidden to try to heal through another dictate this wound that Pope Paul’s attack against Tradition had inflicted. A gradual transformation of thought, proceeding from the contemplation of the model that Benedict gave the world, would create a frame of mind in which the return of Tradition would ensue almost by itself. He trusted in the power of images arising out of his public appearances, where, for example, he employed the Roman Canon or distributed communion on the tongue to the kneeling faithful. To allow truth to act only through “the gentle power” of truth itself, as is stated in the conciliar Declaration on Religious Liberty 8) — this maxim corresponded both to his temperament and to his conviction. A characteristic expression of his approach was his care for overcoming the many aberrations in the liturgy that obscured the Eucharistic mystery. He hoped to be able to eliminate the abuses through a “reform of the reform.” “Reform” — now that’s something the justification for which is completely understandable. Everyone demands, after all, continuous economic, political, and social reforms. Indeed, wasn’t “reform of the reform” well-nigh an intensification of this positive word, an expression of the maxim ecclesia semper reformanda? And wasn’t an evaluation and reassessment of the ad experimentum phase which the liturgy had gone through since its revision by Paul VI also necessary? The progressives, however, were not deceived regarding the innocuousness of this “reform” initiative. They recognized even the first ever-so-cautious steps of the Cardinal and even more so those of the Pope as a danger for the three great objectives of the revolution in the Mass (even thought the popes had already contested all three). What Benedict wanted to achieve would stand in the way of the desacralization, the Protestantizing, and the anthropomorphic democratization of the rite. What struggles were involved just in eliminating the many errors in the translations of the missal into modern languages! The philologically absolutely clear falsification of the words of institution, the well-known conflict over the pro multis of the consecration, which even with the best (and worst) of wills cannot mean pro omnibus, has not yet been resolved in Germany. 9) The English-speaking and Romance worlds had submitted, more or less gnashing their teeth, while for the Germans, the theory of universal salvation, one of the dearest offspring of the post-conciliar era, was endangered! That at least a third of the Gospel of Matthew consists of proclamations of eternal damnation so terror-inducing that one can hardly sleep after reading them was a matter of indifference to the propagandists of the “new mercy” — regardless of the fact that they had justified their struggle against Tradition by the desire to break through historical overgrowth and encrustation to the sources of the “authentic” Jesus. Is it then still worthwhile to ask, how, realistically, the “reform of the reform” might have looked? In any case, Pope Benedict did not think of calling into question the use of the vernacular. He considered this to be irreversible, even if he might have greeted the spread of occasional Latin Masses. Correcting the incorrect orientation of celebrating the Mass was very important for him, likewise the reception of communion on the tongue (likewise not abolished by the missal of Paul VI). He favored the use of the Roman Canon — also not prohibited today. If he had, moreover, thought of putting into the new missal the extremely important offertory prayers of the traditional rite, one could say that the reform of the reform was nothing but a return to the post-conciliar missal of 1965 which Pope Paul himself had promulgated before his drastic reform of the Mass. In regard to the 1966 edition of the Schott missal 11), the Cardinal Secretary of State at that time, Amleto Giovanni Cicognani, specifically wrote: “The singular characteristic and crux of this new edition is its perfected union with the Council’s Constitution on the Sacred Liturgy.” 12) What drove Pope Paul to disregard the missal he himself had promulgated and shortly thereafter to publish a new missal—one which no longer corresponded to the task set by the Council—is among the great puzzles of recent church history. One thing is certain: if things had remained as they were in the 1965 version, which although inflicting many senseless sacrifices, left the rite as a whole untouched, the rebellion of the great Archbishop Lefebvre would never have occurred. But one other thing is also true: even today nothing prevents a priest from including in his celebration of the Mass the most important components that could have been anticipated from a “reform of the reform”: ad orientem celebration, communion on the tongue, the Roman Canon, the occasional use of Latin. According to the books of the Church this is possible even today, although in an individual congregation it requires considerable courage and authority to find the way back to this form without support from Rome. I want to say that the reform of the reform would not have been a tremendous achievement; it would not have won back many spiritual treasures of the old Rite. But it certainly would have led to a change in the atmosphere—it would have allowed the spirit of adoration and of sacred space to arise again. When an individual priest undertakes this in a parish alone and on his own account, he risks an exhausting struggle with his superior and trouble with his liturgy committee. Thus, that which is possible and permitted quickly becomes practically impossible. How helpful would be a single papal document that recommended ad orientem celebration! While entertaining (perhaps pointless) thoughts regarding “what would have happened, if…,” it may be appropriate to recall what would have been more important still than work on ritual details. Anyone who has dealt more thoroughly with the great crisis of the liturgy in the twentieth century knows that it didn’t simply fall down from heaven or rise up out of hell. 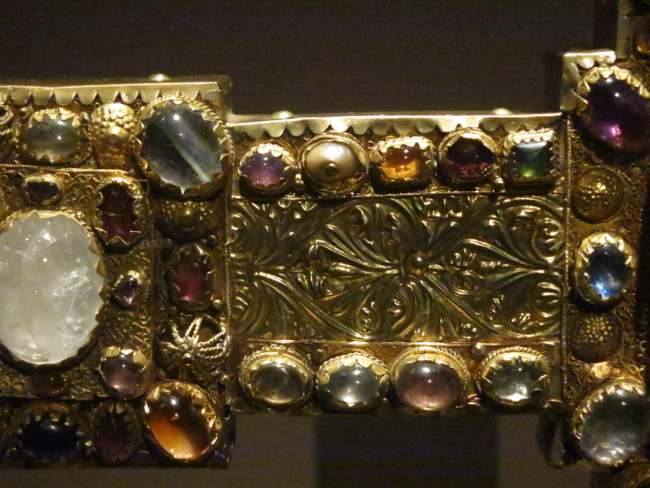 Rather, there were developments reaching into the far past that finally led to the catastrophe: a mindset which, looked at in isolation, doesn’t seem dangerous at first, cannot be understood as simply anti-liturgical and anti-sacral, and can be found even today among some friends of the traditional rite. One could call it Roman-juristic thought or misunderstood scholastic analytic thought. In any case, it was a manner of thinking and perceiving that was completely foreign to the first Christian millennium that formed the rite. According to this view, some parts in the rite are essential and others less important. For the mindset influenced by this theology of the Mass, the concept of “validity” is critical. It is a concept derived from the realm of civil law, which inquires into the prerequisites that have to be present for a legal action to be valid, and those things that do not contribute to this validity. This perspective necessarily leads to a reduction, a formal minimalism that only wants to know whether the minimal prerequisites for the validity of a certain Mass exist. Under the influence of this understanding, reductive forms of the rite were created early on, for example, the “low Mass.” We can certainly love it, but we cannot forget that it represents a conceptual impossibility for the Church of the first millennium, which continues to live in the various Orthodox churches. Choral music is prescribed for the Orthodox celebrant even when he celebrates alone. For the liturgy moves man into the sphere of the angels, the angels who sing. And the men who sing the songs of the angels, the Sanctus and the Gloria, take the place of the angels, as the Eastern liturgies expressly state. The low Mass developed when, in monasteries, several priests celebrated at the same time at different altars. Easily understandable practical considerations sought to avoid musical chaos. But you only have to have been in the Church of the Holy Sepulcher in Jerusalem to experience that in the spiritual world of the first millennium practical considerations had no legitimacy in matters of the opus Dei, the liturgy. Greek Orthodox, Egyptian Copts, and Armenians sing at different altars each in their own chant, until a holy noise fills the space. Admittedly, that may confuse, perhaps even repel people of the North in their search for Protestant inwardness and contemplation—especially when from a nearby mosque the call of the muezzin gets mixed into the whole. What interests us here is that even in the face of such jarring consequences, the Eastern liturgies could not even imagine a minimalization, a “reduction to the essentials,” the omission of elements that do not concern the consecration, etc. To summarize, the essential distinction between the thought of the ancient Church and the more recent Western Latin conceptions consists in the understanding of the consecration of the offerings. Ancient Christian belief understood the entire liturgy in all its parts as “consecrating.” The presence of Christ in the liturgy is not centered only on the words of consecration in the strict sense, but, runs through the entire liturgy in different forms till it experiences its summit in the form of the sacrificial death made present in the consecration. What is decisive, however, is that the Latin world reached this opinion against the facts of its own liturgy, which spoke a totally other, increasingly incomprehensible language. Not only the Orthodox but also the Roman liturgy consists of a gradual increase of the Lord’s presence, culminating in the consecration. But this is precisely not in the form of a division separating the parts before the consecration from those afterwards—just as the life of Christ is not separated from its climax, the sacrificial death, but logically leads up to it. Christ recalled and made present is the theme of the Latin liturgy from is first moments; the language of its symbols permits no other interpretation. The liturgy had taken over from the court ceremonial of the pagan emperors the symbolic language for the presence of the supreme sovereign: candles, which preceded the emperor, and the thurible. Whenever candles and incense appear in the liturgy, they indicate a new culmination of the divine presence. The priest himself, as he enters upon his liturgical function, is an alter Christus, a part of the great work of theurgy, “God-creation,” 13) as the liturgy has been called. He represents the Christ of Palm Sunday, who festively enters into Jerusalem, but also Christ come again on the last day, surrounded by the symbols of majesty. At the reading of the Gospel the candles of the Gospel procession and the incensing of the Gospel book as well as of the celebrating priest once more indicate the presence of the teaching Christ. The readings are not simply a “proclamation” but above all the creation of a presence. Then the offertory gifts, hidden by the chalice veil, are brought to the altar and are reverently received and incensed. The prayers that are recited at this moment can be understood to mean that these gifts, even though unconsecrated, just by reason of their having been set aside already have the role of representing Christ preparing for his sacrificial death. Thus, the liturgical understanding of the first millennium interpreted the removal of the chalice veil on the altar as a representation of the moment in which Christ was stripped of his garments. The traditional offertory was a particular thorn in the side of the reformers of the Mass. Why these prayers, why these signs of reverence, if the gifts have not yet even been consecrated? A theology of the Mass of the second millennium had stolen in, from whose perspective this offertory had suddenly become incomprehensible, a detail that had been dragged along which only produced embarrassment. Now just appreciate the spirit of reverence of, say, the epoch of the Council of Trent. It had revised the liturgy, but of course did not think at all of changing a liturgical rite because it had been found to be theologically inconsistent. But when this offertory reached the desks of the unfortunate twentieth century, it could finally be eliminated. One senses the satisfaction of the reformer with having eliminated the nonsense of millennia with one stroke of the pen. It would have been so easy, on the other hand, to recognize the offertory as a ritual of re-presentation if one had glanced over at the Orthodox ritual. But Roman arrogance preserved us from such digressions. It haughtily ignored the fact that one cannot make any competent statement concerning the Roman rite unless one also keeps an eye on the Orthodox rite. In it, the offertory is celebrated in a far more festive and detailed way, precisely because it is considered part of the consecration. Why did no one [at the time of the reform] wonder why the epiclesis, the invocation of the Holy Spirit at the consecration of the gifts, is part of the offertory in the Latin rite? 14) That the liturgy thus contains a clear sign that the consecration has already begun at that point? But the more profound understanding of the liturgical process had already been so largely lost that one felt able to throw away that which one could no longer understand as if it were a meaningless frill. It must have been an exalted feeling, as a member of a future generation, to be able so blithely to cut down to size the greatest pope in history, St. Gregory the Great! Allow me here to cite an atheistic writer, the brilliant Stalinist Peter Hacks, who said regarding the question of revising classical plays: “the best way to revise classic plays is to understand them.” A principle already heeded in literature — how much more so should it be when it involves the liturgy, the greatest treasure we possess? 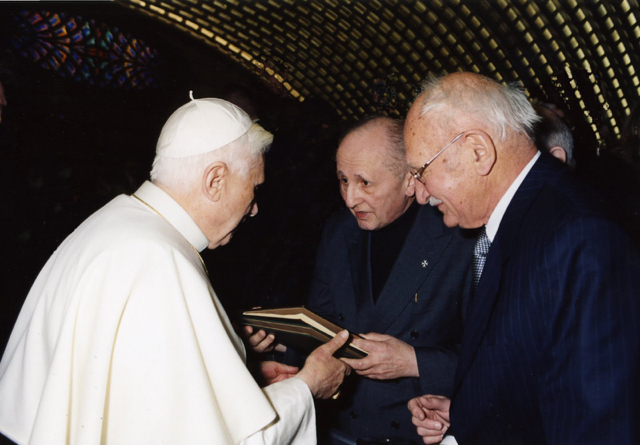 Among the greatest achievements of Pope Benedict was directing the Church’s attention once more to Orthodoxy. He knew that all the striving towards ecumenism, however necessary, must begin not with attention-grabbing meetings with Eastern hierarchs but with the restoration of the Latin liturgy, which represents the real connection between the Latin and Greek churches. Now, in the meantime, we have realized that all such initiatives were in vain—especially because it wasn’t death that interrupted them, but a capitulation long before one was sure that irreversible facts had been created. The disappointment over the shocking end of the Benedictine pontificate is all too understandable, but threatens to obscure a sober view of the facts. Just imagine what the liturgical reality would be if Pope Bergoglio had immediately succeeded John Paul II. Even if the dearest cause of Pope Benedict, the reform of the reform, has failed, he remains a pope of the liturgy, possibly, hopefully, the great savior of the liturgy. His motu proprio truly earned the designation “of his own volition.” For there was nobody — or very, very few — in the curia and in the world episcopacy who would have stood at the side of the Pope in this matter. Both the progressive side and regrettably also the “conservative” side (one has grown accustomed to putting this word in quotation marks) implored Pope Benedict not to grant the traditional rite any more freedom beyond the possibilities created unwillingly by John Paul II. Pope Benedict, who with his whole being distrusted isolated papal decisions, in this case overcame himself and spoke an authoritative word. And then, with the rules of implementation for Summorum Pontificum, he created guarantees, anchored in canon law, that secured for the traditional rite a firm place in the life of the Church. That is still just a first step, but it was a conviction of this pope, whose spiritual seriousness cannot be denied, that the true growth of liturgical consciousness cannot be commanded. Rather, it must take place in many souls; faith in tradition must be proved in many places throughout the world. Now it is incumbent on every individual to take up the possibilities made available by Pope Benedict. Against overwhelming opposition he opened a floodgate. Now the water has to flow, and no one who holds the liturgy to be an essential component of the Faith can dispense himself from this task. The liturgy IS the Church—every Mass celebrated in the traditional spirit is immeasurably more important than every word of every pope. It is the red thread that must be drawn through the glory and misery of Church history; where it continues, phases of arbitrary papal rule will become footnotes of history. Don’t the progressives secretly suspect that their efforts will remain in vain so long as the Church’s memory of her source of life survives? Just realize in how many places in the world the traditional rite is celebrated since the motu proprio; how many priests who do not belong to traditional orders have meanwhile learned the old rite; how many bishops have confirmed and ordained in the old rite. Germany—the land from which so many impulses harmful to the Church have issued—regrettably cannot be listed here in first place. But Catholics must think universally! Who would have believed it possible twenty years ago that there would be held in St. Peter’s, at the Cathedra Petri, a pontifical Mass in the old rite? I admit that that is little, far too little—a small phenomenon in the entirety of the world Church. Nevertheless, while soberly contemplating the gigantic catastrophe that has occurred in the Church, we do not have the right to place little value on exceptions to the sorrowful rule. The totality of the progressive claims has been broken—that is the work of Pope Benedict XVI. And whoever laments that Pope Benedict did not do more for the good cause, that he used his papal authority too sparingly, in all realism let him ask himself who among the cardinals with realistic chances to become pope would have done more for the old rite than he did. And the result of these reflections can only be gratitude for the unfortunate pope, who in the most difficult of times did what was in his power. And his memory is secure, if not in evidence among the items of devotional kitsch at the pilgrims’ stores around St Peter’s. For whenever we have the good fortune to participate in a traditional Mass, we will have to think of Benedict XVI. 2. A work of the Enlightenment, published in 1780, that asserted a threefold development or “education” of mankind through the successive stages of the Old Testament, the New Testament, and the Modern Age. 4. Constitution on the Sacred Liturgy Sacrosanctum Concilium, §36, §54, §101. 5. “etwas Dezisionistisches.” “Decisionism” is a legal philosophy which determines the validity of an act or law solely from the fact that the proper authority has decided it. This may be traced back to the voluntarism of William of Ockham and the political theory of Thomas Hobbes; it is most clearly formulated by Carl Schmitt. 7. In another version: “La plupart des choses se font en ne les faisant pas” (most things get done by doing nothing). 9. This, in spite of the April 14, 2012 letter that Pope Benedict XVI addressed to Archbishop Robert Zollitsch (and through him, the German Bishops’ Conference) explaining why pro multis must be translated “for many” in all vernacular liturgical books. 10. See, e.g., Holy See Press Office Communiqué of July 7, 2016: “New liturgical directives are not expected from next Advent, as some have incorrectly inferred from some of Cardinal Sarah’s words, and it is better to avoid using the expression ‘reform of the reform’ with reference to the liturgy, given that it may at times give rise to error.” Pope Francis made similar remarks in an interview with Fr. Antonio Spadaro, S.J. that was published as the preface of Nei tuoi occhi è la mia parola (Rizzoli, 2016), a collection of his main talks and homilies as archbishop of Buenos Aires. 11. The “Schott” is a well-known German-Latin daily missal for the use of the faithful. It has gone through many editions. 12. Eigenart und Kernpunkt dieser Neubearbeitung ist der vollzogene Anschluß an die Liturgiekonstitution des Konzils. This statement, in a letter addressed to the Abbot of Beuron by Cardinal Cicognani on behalf of Pope Paul VI, was later printed as a foreword to the Schott missal, before it was rendered obsolete by the march of events. 13. Gottesschöpfung, in the sense that the priest and the liturgy make God become present or appear. 14. 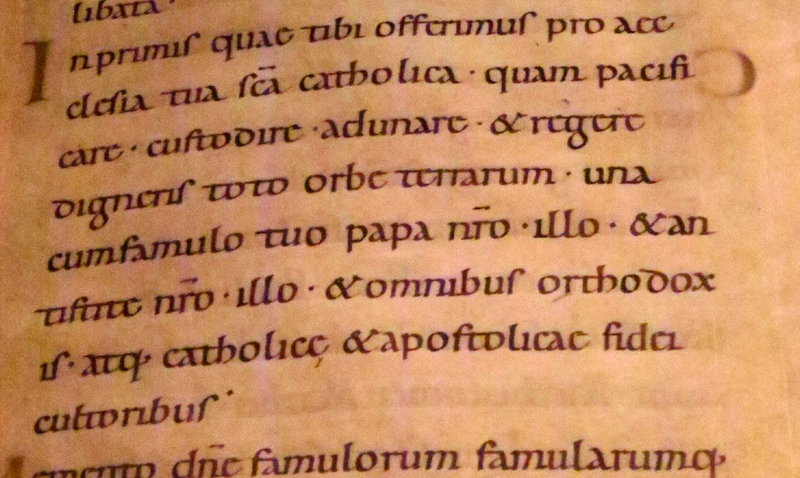 Mosebach is referring to this prayer of the old offertory: Veni, Sanctificátor omnípotens ætérne Deus: et bénedic hoc sacrifícium, tuo sancto nómini præparátum (come, O Sanctifier, almighty and eternal God, and bless this sacrifice, prepared for the honor of Thy holy Name). Today a friend asked me for the contact information of Helmut Rückriegel; I soon found to my great sorrow and surprise that he had died on January 25 of this year! I unfortunately only had a few occasions to meet Ambassador Rückriegel. He would visit New York where his son lived. I would meet him in a restaurant in the company of his friend Arkady Nebolsine. Helmut Rückriegel was a true Christian gentleman. A man of great culture, he had represented his country in various assignments – notably in Israel and Thailand. Possessed of a keen intelligence and a great sense of the real, he had the ability to understand and appreciate the merits of other peoples and cultures without falling into the servile obsequiousness so typical of the West and particularly of Germany today. Devoted to the Church and to the Traditional mass, he was utterly without the “churchy” Catholic’s cant and fawning airs. Ambassador Rückriegel had put his practical talents to use in promoting the Traditional Latin Mass – he held a leading role for years in the Una Voce Federation. To me he seemed a reminder of a bygone age, of the former greatness of German culture – which in its great days had sought to comprehend and embrace all the cultures of the world. I regret so much that through my own fault I had not had the chance to get to know him better! Martin Mosebach has written the following obituary. An extraordinary man has left the earth. Standing at the grave of Helmut Rückriegel his friends conceive the whole truth of the discernment that with the death of a man there is a whole world that perishes. What pertains to everyone is most evident for such an overabundant nature as it was with our deceased friend Helmut. He was allowed to live a long life, and, we can say, to live in mindfulness and intensity. He finished the wine of life completely and entirely, including even the very last and then most bitter drops. Furthermore it was granted to him to maintain his entire strength of mind until his last moment; in complete alertness he witnessed his time and all its phenomena until the last moment. His participation in the world was insatiable; he was a pious Christian – the archaic term ‘piety’ in its comprehensive meaning like the antiquity knew it – was fitting for him. A life in the presence of the supernatural and a joyful discovering of this supernatural in the inexhaustible statures of the created world – but without suppressing the reality of the mortality of all life on earth, he lived as if there was no death. Until his painful last sickbed he was seized with the fascination of languages – recently he started to learn Turkish, a language that is extremely far from all Indo-Germanic familiarity – joyfully entering into a totally different kind of thinking and feeling. I always wondered why he, whose sense of language was infallible, did not write himself. But in return his sentiment for the great German poetry was so profound that the verses of Goethe and the Romantics, of Hölderlin and Stefan George constituted deeply and totally his inner life. He was the reader and reciter that poets desired, drawing from a great pool effortlessly the most remote lyric creations to engender an awakening to melody and life. His artist’s nature became apparent in the invention of his garden that he created in Niedergründau, the village where he came from, after the end of his working life: he cultivated rambler roses, growing into the old, partly withered apple trees high as a house, to create real snow avalanches of white blossoms; in May and June they were phantasmagorias of surreal, sheer beauty. Here, the gardener who planted hundreds of sumptuous roses, turned into a wizard. ‘Il faut cultiver son jardin.’ are the last words of Candide, Voltaire’s wicked satire in which the hero, after having underwent the horrors of a world falling to pieces, is forming the conclusion of his experiences. And it was in this awareness that Helmut created his garden. The experiences of this great connoisseur of the art of living had made him learn, no less clear than Voltaire’s Candide, that the earth is not a peaceful place, not a paradise. As a pupil and young man during the years of Nazism he thanked his teachers for the discernment that Germany was ruled by criminals; in these years he also experienced the Catholic Church as a place of resistance against the despotism. As a diplomat he travelled widely; but his most important positions for him were in New York and Israel – in the Holy Land, this small spot of earth, where also in his life all spiritual and demonic forces that agitate us as well today, collide; there he found the proximity of the truth of his faith, especially there, where it seemed to be completely unreachable. And very early he discovered for him the obligation to serve the Roman Catholic Church, his mother, for whom he saw himself as a faithful son, in her great crisis in which she had fallen after the Second Vatican Council. Helmut Rückriegel, who loved the oriental Churches, especially the Orthodoxy, the friend of many Jews, who – together with his friend, the great Annemarie Schimmel, admired the Sufism; he was a Catholic, as ‘the tree is green’ to say it with a word of Carl Schmitt. From his universal culture, from his enthusiasm for the masterworks of language, from his detailed knowledge of history and the cultures of the world Helmut Rückriegel was convinced that the Roman Church was – by its cult which has been transmitted from the late antiquity – a melting pot of all beauty and holiness that is possible on earth. In a decades-long friendship with Josef Ratzinger, Pope Benedict XVI., he helped to ensure that the Church did not completely abandon this treasure that belongs not to her alone, but to the whole mankind. Helmut Rückriegel the diplomat must occasionally have been rather undiplomatic – he was full of passion, a battler who did not spare himself and his adversaries. A man made for being happy – but still often enough desperate of the vainness of all struggles of the best, putting up resistance against the spirit of the times. The old Helmut Rückriegel did not become wise of age – a wonderful trait he had and that conjoined him with his younger friends. A consistent one, also in his matrimony that lasted nearly fifty years: after his rich life that she shared for so long with him, Brigitte Rückriegel accompanied him faithfully unto death – for this long companionship and the synergy during the working years in many positions she is, as she told me, profoundly grateful, and Helmut’s friends have today to be grateful to her for all that she did for him, especially during the darksome days. The cosmopolitan German patriot Helmut Rückriegel embodied the best aspects of Germany; to have known him is for me and certainly for many others an infinite well of encouragement and hope. In the United States Martin Mosebach, the liturgical essayist, is well known. Martin Mosebach, the novelist and writer, is far less known. After all, it was only two years ago that one of his novels, What Was Before, was translated into English for the first time. Mosebach has now published Life is Short: Twelve Bagatelles, a collection of his shorter and shortest fiction. If it were only translated, it would be for the American reader an ideal concentrated introduction to the style of Martin Mosebach. Life is Short gathers previously published short works. In general, I would categorize them as “prose poems” rather than short stories. Rather than presenting a narrative or character, the miniatures in Life is Short describe an object, capture a mood or a moment – often in an indirect, indeterminate way. One thinks of such remote antecedents as Arthur Machen’s Ornaments in Jade (1897) or J-K Huysmans’ Drageoir aux Épices (1874). Mosebach’s style, however, if “poetic” in the use of sound and images, is more restrained and precise. And, as in Mosebach’s novels, here and there is satire and even comedy. But has not this kind of imagery always been a particular excellence of the author? One remembers so well the sacred cow in Das Beben, or the descriptions of a nightingale and later of the cockatoo in Was Davor Geschah. These “bagatelles” also capture fleeting, uncertain and sometimes deceptive moments of life such as a boy’s exhilarating bicycle ride downhill after a hard day at school or the glimpse of a mysterious stranger sitting in a train compartment by a rider standing on the platform. If life is short, even more brief are the few moments that allow us insight into in it. Some of the pieces in Life is Short assume the form of a short story. A tale of an artist and her friend discussing the components of a still life unexpectedly turns unsettling, even menacing. A visit to a dying deserted French town climaxing in a mysterious late night conversation leaves the story’s narrator perplexed as to what he as seen or imagined. Yes, life is short – but art is long. If you want to get to know Mosebach the artist, this is a good place to start. But what of Mosebach the Catholic advocate, the inspiring writer on the liturgy? In the following brief final section of “Vinusse: Eight Wine Labels and a Prologue,” the author does more explicitly present liturgical and theological themes in an anecdote that takes place in his own backyard, near Frankfurt. It’s a tale that also leaves us with a kind of commentary on the meaning of this little book. The biretta of the monsignor hung from the hat rack in the foyer. Its glowing crimson pompom was the only sign of baroque pleasure in color in the severe scholar’s dwelling. The old theologian regarded not as old-fashioned ballast, but as extraordinarily meaningful, that, as is often the case in the Rheingau, a vineyard was attached to the rectory. In this way a gift, the purity of which he well knew, entered the gothic chalice with which he offered the sacrifice. The walls of his study were covered up to the ceiling with brown rows of books. The complete edition of Migne’s church fathers, bound in black-waxed linen, was ready at hand. The afternoon sun created small foci of light in the wine glasses that stood before us. “This wine is the best that wine can become” said the cleric. “Firne-wine. Once upon a time these wines were desired but today nobody understands anything about them. People believe they have gone bad. And indeed they taste totally different. In many of my Rieslings the Firne sets in just after six or eight years, with others only after twelve or fifteen. The wine grows darker and there develops a taste of fine Spanish snuff tobacco: a hint of turpentine, a breath of noble resin pervades the wine like a marriage, made only in the imagination, between wine and incense. Maybe the wine, impatient and desperate at having to wait for its use in the Sacrifice, undertakes itself an attempt at auto-transubstantiation. He hadn’t joked, but nevertheless smiled. When it became apparent in the early 1950s that television sets would soon be in many households, German bishops deliberated about whether it would be wise to allow or even promote television broadcasts of the Holy Mass. Indeed, people thought about such questions sixty years ago and they asked the great philosopher Josef Pieper for an expert opinion. In his opinion, Pieper rejected such television broadcasts on principle, saying they were irreconcilable with the nature of the Holy Mass. In its origins, the Holy Mass is a discipline of the arcane, a sacred celebration of mysteries by the christened. He mentioned the lowest level in the order of priests – done away with following the Second Vatican Council – the ostiary, or doorkeeper, who once had to ensure that the non-baptized and those temporarily excluded leave the church and move to the narthex following the liturgy of the Word. The Orthodox still do so in some places; the call of the deacon, “Guard the doors” is heard in every Orthodox liturgy before the Eucharist. While in Georgia I once experienced this demand, often merely a ceremony of a recollected past, being taken literally. A monk approached me, fell to his knees and apologetically asked me to leave the church since I, as a Roman Catholic, was not in full agreement with the Orthodox Church. I gladly acquiesced as I think not everyone has to be permitted everywhere all the time. Sacred places and holy acts are first declared quite plainly by the drawing of boundaries and such boundaries must somehow be visible and palpable. Still, anyone who has not given any thought to the dubiousness of filming the Mass has perhaps on occasion felt uncomfortably moved when they saw believers receiving communion on television or as the camera rested on the face of a celebrant chewing the host. Are such feelings truly only atavistic, produced by ancient magical fears? Other cultures are also acquainted with an aversion to photography. It is as if it would disturb a spiritual sphere. So it is all the more surprising that a photograph of a Mass has become very valuable to me. I always have it in view on my desk. It is a black and white picture of a church interior badly damaged by bombs; massive columns still bear a vaulted ceiling but the rear wall of the church is completely collapsed, providing a view of a burnt-out neighborhood lying in ruins. The piles of stone almost penetrate the interior of the church. But the chessboard floor around the altar has been cleared. Three clerics are standing behind one another in a row on the altar steps wearing the large chasubles and dalmatics of the modern “Beuron” style. The open mass book is on the right side of the altar; we can see by the position of the celebrants that they are at the Kyrie at the beginning of the Mass. To one side, in front of a column damaged by bomb fragments, stands the credence table, flanked right and left by two adult acolytes in cassocks and rochets. The congregation is not visible; it must have been quite a distance from the altar. A great feast is being celebrated here as the High Mass reveals. The world has literally collapsed, but the calendar of the Church year mandates this feast. It is celebrated wholly regardless of the circumstances of the times. These circumstances, as disastrous as they are, retreat for the duration of the liturgical feast. In a unique way, my photograph captures the collapse of two dimensions of time: the horrors of war (who knows in what way the five men in this document have been affected, who of them have lost relatives and homes?) and at the same time an exit from this time. It is an exit from the merciless power of their suffering, a turning away from the hopelessness of contemporaneity, not influenced by delusion, but in the awareness that the reality opened up to us by the liturgy is always present, that it perseveres, as if only separated from the present by a thin membrane, through all epochs of world history in one eternal Now. And this Now is entered by the partakers of the Mass through the portal of the 42nd Psalm, which is about the discernatio between the supplicant and the “gens non sancta.” Through this distinction, the people, all of whom belong to the gens non sancta, become a holy people for the duration of the liturgy; the actual circumstances of their existence, whether the horrors of destruction or the self-sufficient satiety of peace-time, dissolve at this boundary crossed in the liturgy. The focus of the celebrants on the cross and the altar denotes a simultaneous turning-away. Standing in a row, they are like a procession that has come to a halt – come to a halt because it has attained its highest possible objective on earth. Measured against the two-thousand year history of the Church, this is not an old picture. It is not yet seventy years old but still seems endlessly far away from us today. An image of such radicalness in its triumphant insistence in the positing of a counter-world would not be photographable today without further ado, at least not in the world of the Roman west. It may be more of a possibility among the persecuted Christians of the Orthodox east who have loyally preserved their “divine liturgy.” Anyone looking at this picture must believe that the liturgy it documents is invincible; it has nothing to fear of any disaster. My bishop has given me a difficult task. He asked me to speak to you about the traditional Roman liturgy, which was the dominant liturgy in the entire Catholic world before it was rewritten by the Second Vatican Council in the late 1960s to an extent that far surpassed the reform mission of that council. It was an unprecedented event in the history of the Church. No pope had ever so profoundly intervened in the liturgy, even though modifications to worship over nearly two thousand years were – perhaps naturally and inevitably – numerous. 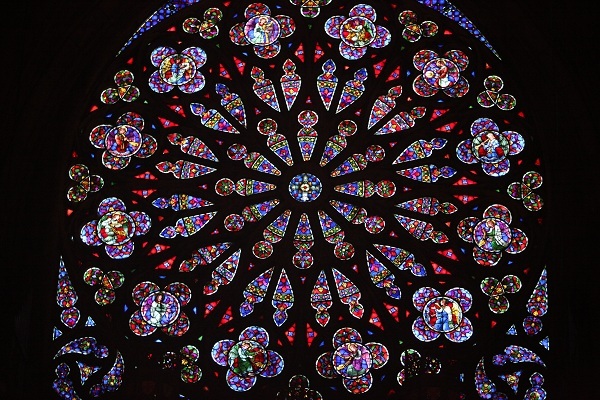 If we were to visualize the epochal breaks, the changes in the culture and mentality that Christendom has survived, it would make us dizzy. And indeed, the Church on earth has always been uneasy about whether it still resembles the Nazarene’s foundation. In every century of its existence it has had to measure up anew to its Founder’s prototype and has often enough been threatened to be torn apart – was in fact torn apart – by disputes over what the authentic Church is. The contradiction of the mission it was given has and will never allow it to come to rest. Christianity is the religion of unrest and of contradiction; it knows no self-soothing. Following Christ means, on the one hand, self-sacrifice, anarchy, dissolving all social bonds, even those of the family, freedom from care, poverty and a love of our enemies that mocks all laws of self-preservation. On the other hand it means passing on the faith, the great mission, helping the poor and the weak. That involves being an institution, becoming a system and apparatus, and that means – in the hour when the Savior appeared – which our faith understands as the “fullness of time” –necessarily becoming Roman. In every age there have been people who found this contradiction unbearable, who considered the Church’s institutionalization, even more so her becoming Roman, the original sin and who wanted to end this contradiction. The indignation of these people is quite understandable. What they objected to in the institution is often enough undeniable. It is equally undeniable that all Catholics today owe their belief to this institution. They owe to it the long unbroken line of bishops and priests, a spiritual genealogy, which leads to the circle of the Apostles, they owe to it the dissemination of the Holy Books, a scholarly study of them, the object of which is their purity from corruption, they owe to it great architecture that ever allowed them to re-imagine the faith and art that often did more to proclaim the faith than the efforts of the theologians. Within a few centuries in ancient Greece, the image of Apollo transformed from the splendid cruel superman of Homer to the almost abstract principle of truth in Sophocles. The fact that the Apostle Paul and Pope John Paul believed in the same Jesus Christ in spite of all Gnostics, Cathars and Bultmanns, is also owed to this institution. Being an institution always involves power and an institution is exposed to evil temptations just as every individual is. Yet it was popes and bishops who commissioned images from painters in which popes and bishops were driven into the jaws of hell; probably a unique phenomenon in the iconography of power worldwide. It was popes and bishops who exhibited to the faithful the true way to follow Christ in the form of the Saints. The institution of the Church found its finest justification, however, in passing down the liturgy, which is precisely something other and more than passing down a religious doctrine. This liturgy, which, by sanctioning the hierarchy, seems to belong altogether to the institutional side of the Church, is what reverses these very contradictions. It allows our faith to be a perceptible personal event, it frees us from the unpredictability of whoever is in power, it bears the possibility of the shocking encounter with the person of Jesus through the ages. Yes, it has changed on its pathway through history, just as the shape of churches changed over the centuries, yet the miracle is still how little it has changed. The fact that the Church, which embraced many nations, had one religious language in which the sacred texts and commandments were safely preserved, the fact that in carrying out the mysteries the priest and congregation together turn to the east to the risen and returning Christ, the fact that the liturgy is a realization of the redemptive sacrifice on the cross, that the Mass is thus a sacrifice – all of this was completely uncontested in East and West. The Mass seemed destined to triumph over the law of European history of ceaseless revolutions, to be the common thread that connected not only the two thousand past years, but also the years of the future, even if no other stone should remain standing upon the other. Well, we now know, after 1968, after the reform of the Mass that bears the name of Pope Paul VI, this is no longer the case. According to the liturgical theology of Pope Benedict, the Mass of Paul VI and the largely lost Traditional Mass are one single rite in an ordinary and in an extraordinary form. And although I make no objections to this theology, anyone with eyes and ears is forced to admit that the characters of the two are sometimes so dissimilar that their theoretical unity seems quite unreal. In my experience, the pros and cons of the liturgical reform cannot really be discussed dispassionately within the Church. The fronts long stood against one another with irreconcilable rigidity on this issue, although the idea of ​​ “fronts” presumes comparable strength, which was not the case. The circle of those who refused to accept that what only a moment ago had been everything, should now abruptly become nothing, was miniscule. To put it in the words of theologian Karl Rahner, they were “tragicomic marginal figures who failed in their humanity.” They were regarded as ridiculous and yet highly dangerous. With all the force at his disposal, Pope Benedict tried to defuse the conflict, certainly not for the sake of “peace and quiet,” but to rectify an aberration. A lot of time has passed since then, and the reform of Paul VI has long since lost its revolutionary character in the lives of Christians around the world. To most Catholics the whole debate over the liturgy of the traditional and the reformed Mass would be entirely incomprehensible today. Consequently a bit of the cantankerousness that this subject long generated has perhaps also vanished. The few people who cannot let go of the traditional liturgy may be a tad ridiculous, but they are certainly no longer dangerous. Thus today my objective is not to continue the dispute over the Catholic liturgy, but to remember; to remember the spiritual process that led to the genesis of the liturgy, one of the most surprising, bizarre, contradictory processes of world history. Where out of this impasse does a path lead to ritual and celebration? The temple itself was profaned by this blasphemy, which for outsiders, who have not forgotten awe through pious routine, forms the deeply incomprehensible foundation of a religion of salvation. This is the clue to the correct understanding of the events: the foundation of a sacrificial ceremony devised for repetition. A rite is an ever-renewed repetition of an act prescribed by an outside will. But the framework within which this foundation should be seen was also clear to the disciples. Paul articulated it when he called Christ the High Priest who, however, no longer absolves the people with the blood of a calf, but with his own blood. The rite in relation to which His disciples understood His death was, however, highly specific. It was one of the richest and most widely developed rites of the ancient world: the sacrifice of smoke and fire in the temple, performed by a holy priesthood before the Holy of Holies, which housed the Shekinah – the invisible cloud of God made perceptible by the clouds of incense –, which make the air heavier and God’s presence – incorporeal and yet irrefutable – tangible through appealing to our finest sense of smell. Jesus frequently prayed in the temple and his followers, too, left the temple reluctantly to then shape their worship according to the rites and ceremonies of the temple. Indeed, one could say that after the fall of the temple, worship as it was since the book of Leviticus, the liturgical scriptures of the Old Testament, survives only in the Catholic and Orthodox liturgies. But now it must be understood differently in this new transparency of the physical signs of the realities it also contains. This is the new antagonism of Christianity: “All that is transitory is but a metaphor” to say it again in Goethe’s words. But this ability to be symbolic does not lessen the reality of the transitory. After the Son of God became man, matter was given a new dignity that has its own law. It points beyond itself, but is itself already filled with God’s reality. The religion of the resurrection does not recognize an ideal in spirituality that overcomes matter; it recognizes not only the people but also the so-called dead matter as the substance of divine incarnations, so that water and wind and fire can become incarnations, and not merely symbols, of the Holy Spirit. This is the aesthetic of the Catholic liturgy – not to mention the Orthodox. All is symbol and all is quite real, all is merely precursor and all is fulfillment at the same time, all is the past and all is the future and both occur, indistinguishably and simultaneously, in the present. The temple worship of the Jews was and has remained the covenant duty of the people, for the religion of Jesus Christ did away with nothing; it was never a “reform” in the modern sense. It was now fulfilled in the sense meant for it from the beginning, according to Christian belief, and made apparent in the fullness of time. Just as the sacrifice of Christ on Calvary was even then both passio and actio, the liturgy, which served the anamnesis of this sacrifice, was now also multiple things at one time. The worship of the people was now this sacrifice; each sacrifice in world history was related to the act of Jesus’ sacrifice. He was the real agent of the liturgy; He used the people only as mediums. The liturgy descended deep to the beginning of time. It celebrated Sunday as the day of creation; at Easter it reenacted God’s separation of light from darkness on the first day of creation and sanctified the water through the breath of the priest, as in the beginning the Spirit of God hovered over the surface of the waters. It transformed the blasphemous events of Golgotha ​​into their opposite, into highest sacredness; the gruesome slaughter into the act of reverence, as if to ever again make good the deicide, but also to reveal the reality hidden in it, the glory of the acts of the Redeemer. And it looked to the future, to the eternal heavenly liturgy described in the liturgical book of the New Testament, the Book of Revelation, the “marriage of the Lamb,” the liturgy that ever celebrates the cosmos and to which the people draw near only by their celebration. This is why the priests wear the alb, the white robe of the men standing around the throne of God in the Book of Revelation. This is why the “Lamb of God” is invoked in the liturgy. This is where the incense has its New Testament legitimacy. “In this realm time becomes space.” The liturgy confirms this line from Wagner’s Parsifal. In the liturgy are experienced in one place the various ages and, indeed, even the exiting from historic time and the entering of that timelessness that eternally accompanies us. But the fulcrum of this turbulent time travel is always the Cross; this is where the beams from past and future converge. Therefore it is also crucial that a large cross stands on the altar so that the priest, while he holds out his hands as Jesus did, looks like a dying man before whose eyes, in earlier times, a crucifix was held. It is part of formation through the liturgy that individual moments of Calvary’s horror are portrayed when the priest evokes them in his gestures. For example, the moment when the veil is taken off the chalice and paten invokes the moment the Christ was robbed of his garments. Upon breaking the host we recall not only the corresponding gesture at the Last Supper, but also the destruction of the body on the cross. And during the “Pax Domini sit semper vobiscum,” when the priest slips a piece of the consecrated host into the cup and thus reincorporates flesh and blood, we witness the resurrection. These allusions perhaps explain what is meant when the Christian liturgy is called an “observance of the mysteries” (Mysterienfeier). The word mystery is always translated incorrectly in this context. It can evoke all sorts of wrong associations; secrecy is not far off, even intellectual laziness or that cunning that would like to surround irrationalities with a disastrous sublimity. For the purposes of the liturgy, however, mystery means no more than “event,” “act,” “phenomenon,” “occurrence.” An act whose meaning is only understood by the initiated: the truth that needs not be understood, but looked upon, like the Redeemer himself, who needed not respond to Pilate’s question “What is truth?” because His presence was the answer. Here we must clarify a particular German misunderstanding. In Germany one who defends the traditional liturgy of the Church incurs one of the harshest, explicitly morally-tinged condemnations: he is an “aestheticist” who hangs onto the old form out of a dubious proclivity for glittering decoration and the compulsions of an antique collector. Such tendencies would be worthy of derision if in truth they were not an expression of superficiality masking sheer frivolity. In Germany we like to distinguish between the glistening surface and the deeper values. Preferably, deeper values ​​are not externally perceptible. What appears “beautiful” is mostly untrue and morally questionable. When the word “aestheticism” is uttered, the defender of the traditional liturgy has already lost; his arguments are exposed as symptoms of questionable character. It must certainly therefore be devastating for the traditional liturgy that it is beautiful; beauty defined as well-formed, symmetry, absence of arbitrariness, musical rhythm, clarity, classical calm, absence of the fashionable, perfected creation of a spiritual event. The intellectual historic process that led to this widespread distrust of beauty did not emerge only yesterday. It has its roots in that German vice, philosophy, an eloquent juggling of definitions that revels in the separation – impossible in reality – of content and form. It has roots in the Protestant culture of introspection and in the playing off, habitual since the eighteenth century, of pagan beauty and associated libertinage against Christian morality, which suspects the devil behind beauty. I will not deal further with this question, because I am speaking of more important things than the analysis of a national psychopathology. It is not about the beauty, perfection, grace and splendor of the traditional liturgy, as much as it possesses all of these. It possesses them in passing, inadvertently. For it is not the product of artistic work, artistic expression, artistic composition. The liturgy has spawned an almost immeasurable amount of art, but itself does not need art, defined as the personal creativity of a master. If we associate the concept of art with the conscious process of artistic creativity, the Mass has nothing to do with art in this sense because it is an anonymous creation, without authors, a collective work that unfolded over centuries as a living entity. It is as impersonal as a fire burning in a temple that is not allowed to go out for fear the world will fare badly. All its parts are arranged with utmost accuracy around the great theurgical act in their midst. Every gesture is designed to remind the celebrant and the faithful that what is acting and being expressed here is no individual human will, but the divine Master. And because the intention is not directed at it, because no personal pretension dominates the space, because the sole impulse of the celebrant is subjection to that which is mandated, this beauty, that elusive quarry, not even noticed by many, suddenly appears. It accompanies what is right, barely more than a sign that human self-will has been silenced for the short duration of the liturgy. Over the past four decades another term that has played an important role in the discussion about the rite of the Church is “contemporaneity.” This word is also associated with many misunderstandings. That something – a law, a custom, the use of language, a political position – must be “contemporary” sounds so perfectly normal it really requires no justification. As beautiful and good as things may be, if they are no longer perceived as contemporary they are beyond remedy, no matter what else speaks for them. As many moderate modifications as it may have experienced in its history, the fact that the Traditional Mass remained essentially unchanged from the first Christian millennium to the end of the second shattered all historical probability. It was not just something from yesterday, something old-fashioned or outdated, looming into the present-day, but something almost incomprehensibly ancient in the millennia of human history. This Mass was already no longer contemporary in the nineteenth century with its aesthetics of Goethe and Wagner, Neuschwanstein and the Eiffel Tower. In the elegant eighteenth century attempts were made to hide the strange antiquity of the Mass under great orchestral music as if behind an iconostasis of modern sound. The Mass comes, we know, from Late Mediterranean Antiquity, an urban culture of many religions and a colorful mix of peoples and races, with philosophically enlightened upper classes and thousands of obscure cults of slaves and ordinary people. How it was able to hold its own in feudal, agrarian northern Europe is such a mystery, merely from the socio-historical point of view, that the phenomenon borders on the improbable. Certainly the un-contemporaneity of the liturgy represented a real problem in many eras and many eras of the past could have made it a lot simpler with a “contemporary” adaptation. And indeed, there were all sorts of attempts at adaptation, though they never altered the text of the missal or the details of the ceremonial language. They were rather production variations – to put it in theatrical terms – the famous Low Mass for instance, or the introduction of songs in the national language. We could say that now and again the Church authorities lost their nerve against the forces of the respective zeitgeist with respect to the liturgical program placed in their trust to preserve. The un-contemporaneity of the liturgy, which is in equidistance at any historical era, was regarded as a burden and not as what it is: a trump. It’s tricky with contemporaneity: when you try to grab and hold onto it, you end up holding the dead tail of a lizard in your hand. Arrested contemporaneity is necessarily always about to go out of date. The radical form of the liturgy, by contrast, cannot go out of date because it does not belong to time, but moves outside of time. Many arguments are based on the incomprehensibility of Latin in our present time. Have we forgotten that in past centuries Latin was also “understood” by only a few? Germany became a Christian country with a Latin liturgy at a time when the Germanic, Frankish and Alemannic farmers not only spoke no Latin, but also could not read and write. Incidentally the same was true of their masters. As for the Latin of the clergy, there was certainly a germ of reality in the satire of Ulrich von Hutten about the Viri obscuri, the obscurantists with their depraved macaroni Latin. Recently, philologists have very vividly shown that the Latin of the Mass was not even the Latin spoken by the people of Rome in the fourth century AD. The vernacular of that multiethnic city was simplified Greek, Koine. The Mass was Latinized out of the specific need to render the sacrificial act in a sacred, exalted language that could compete against the high cultural level of the liturgical language of paganism. Thus as a rhetorical linguistic work of art the Roman canon emerged in a form of rhythmic prose that is strictly separated from rhythmic poetry but that remains recognizable as an ordered spoken melody. There is nothing similar in modern languages; as a spoken work of art the canon is literally untranslatable. Nevertheless, even the most resolute advocates of the vernacular in the liturgy cannot claim that the faithful of past centuries did not know what was happening in the Holy Mass. They could not, of course, relate what they heard word for word, but there were not only words, there were gestures and processions, there was kneeling and blessings, singing and bells, and this entirety contained a message that Catholics understood very well for two thousand years. They experienced theophany; God made himself accessible to the people, was with them, and His physical nearness in the liturgy was just as reliably experiential as back in the Holy Land. No one needs to know more – or less – about the liturgy. Those who understand every word of the ceremony but do not know this basic truth have understood nothing of the Mass. And it is, I fear, a mistake if we think or hope that the use of the vernacular made the Mass more understandable. This does not even take into account the great problem of translation (Josef Pieper, who I mentioned above, said using everyday language in the liturgy could be decided only when useful translations existed) and everyone knows what unforeseen difficulties and substance for dispute and division this involves. The Sunday edition of the F.A.Z. (2) recently published a revealing but not surprising essay by a journalist who was born in former East Germany and raised irreligiously who described a visit to a Sunday Mass in the reformed rite. He admitted that the entire process, of which he understood every word, remained a mystery to him. That’s not surprising. The liturgy is not catechetical instruction. Celebrating it, especially in its reformed form, requires a great deal of knowledge where that form does not, in its symbolic fullness, unequivocally appeal to a basic knowledge, common to all cultures and grounded in anthropology, of the presence of the sacred, of the experience of sacred space, of the gesture of sacrifice. To me, one of the greatest treasures of Islam is its five daily prayers when the faithful prostrate themselves before God on the earth and touch their foreheads to the ground. How much theology becomes unnecessary at the sight of people praying so! The prayers of the traditional Latin and Greek, Coptic and Syro-Malankara liturgies are infinitely more varied than that of Islam, as is appropriate for initiation mysteries. Yet worship, theocentrism, reverence, submission to divine will, entering another world with other laws can also easily be read in them, even if they seem confusing and hermetic to an outsider. The rejection of the traditional liturgy has certainly unexpectedly resulted in one particular problem for the contemporary Church. To outsiders, including many Catholics, the Catholic Church today is mainly embodied in the morality it teaches and demands of its faithful, which, manifest in prohibitions and commandments, are contrary to the beliefs of the secular world. In a church centered mainly on the immediate liturgical encounter with God, these moral demands were related not only to life choices, but were specifically conceived as preparation for full participation in the liturgy. It was the liturgy that specified the goal of morality. The question was: what must I do to attain full communion with the Eucharistic Christ in the liturgy? What makes me only able to observe this Christ from a distance? That which is morally forbidden appeared not simply as the incarnation of evil, but as something to be avoided for the sake of a specific objective. And when the commandment that excludes us from communion was transgressed, the sacrament of confession stood ready to heal the damage and prepare us for communion. Surprisingly, it turned out that the Catholic Church of the past, which focused on the liturgy, seemed scandalously morally lax to outsiders, while to contemporaries and not only the unchurched, the present Church seems unbearably preachy, merciless and pettily puritanical. Why so many observations about a matter that is perhaps over and done with? There is a passage by Ernst Jünger that has troubled me deeply. It is in his collection of aphorisms Über Autor und Autorschaft (On Author and Authorship): “For conservatives […] the point comes when the files are closed. Then tradition may no longer be defended. The fathers are worshiped in silence and in dreams. When the files are closed, let them rest, held in trust for future historians.” This is the question that I am not able to answer: Is the liturgy being celebrated in the photo I mentioned earlier amidst and in disregard of terror and destruction truly a testimony of victory over history, or is it an infinitely noble, poignant farewell picture? Remember, the Orthodox churches of Russia and Greece, Egypt, Syria and India hold fast to this image of the liturgy I described in full conviction. These churches are not insignificant parts of Christendom and have truly been tested in the fiery furnace; not Rahner’s “tragicomic marginal figures who failed in their humanity,” among which I gladly count myself. In the course of the ecumenism required of us, whether we can constructively recall our own abundance of traditions will depend on whether the Church is entirely subject to the laws of history, sociology, psychology and politics or whether there is something in her that defies these laws because it comes from other realms. (1) Speech held at the invitation of the Bishop of Limburg/Lahn, His Excellency Dr. Franz-Peter Tebartz-van Elst, February 13, 2013 at the Ash Wednesday of the Artists in the Haus am Dom in Frankfurt am Main. Martin Mosebach, born in 1951 in Frankfurt am Main, has lived there as a freelance writer since completing his state law exams. He has received numerous awards including the 1999 Heimito von Doderer Literature Prize, the 2002 Kleist Prize, the 2007 Georg Büchner Prize and the 2013 Literature Prize of the Konrad Adenauer Foundation. Bishop Tebartz-van Elst and the Press. (Readers may recall the case of the “Bishop of Bling” who had been forced to resign in March 2014 after an unprecedented campaign against him both in the German-language media and in the German Church. A glance at the German Wikipedia article on Bishop Tebartz-van Elst gives an idea of the real sources of the conflict. Even though the following essay of May 2014 is very specific to the German situation, recent events have made it more relevant than ever. First, even without a diocese, Bishop Tebartz-van Elst is still hounded by the German press and Church – he recently had to cancel a minor speaking engagement because of their hostility. Second, cost overruns far in excess of the Limburg situation have recently been reported for building projects in other German dioceses – with no reaction from either the press or the Vatican. Third, since the publication of Mr. Mosebach’s essay a pattern has emerged of Pope Francis working hand in hand with local hierarchies to force out conservative prelates – one thinks of further examples in Paraguay, France and Italy. Finally, we have here a case study of the close collaboration between the media and the progressive Catholic establishment – a relationship that of course has blossomed in unheard-of luxuriance under Pope Francis. Is the case of the Bishop of Limburg, Franz Peter Tebartz-van Elst, really already closed? Just look at the plain facts: the German Bishops’ conference had established a commission of investigation to determine how the explosion of costs occurred in the construction of the Bishop’s residence that had been commissioned by the Limburg cathedral chapter. It gave the bishop a great deal of the responsibility for the misguided planning. Another share was borne by the cathedral chapter, which had failed in its duty of supervision. The vicar general was also not spared blame. What only became clear later was that the bishop had already offered his resignation to the pope in October 2013, which the Holy Father, after reading the report of the commission, then accepted. It is worth keeping this nuance in mind. The bishop was not reprimanded and no ecclesiastical penalty was imposed on him. That was obviously because, after evaluating the circumstances, that had been found inappropriate. The resignation was accepted because the bishop “in the situation that has arisen can longer exercise his office of bishop.” This was the report’s sober and completely accurate conclusion in the face of the wave of contempt and hate that poured upon the bishop from clerical circles and from the “professional Catholics” of the lay organizations. The “Tebartz case” had dominated the headlines of most newspapers in those months when Syria was ablaze, the European currency was threatening to collapse and Christians were undergoing persecution in so many lands. Priests of the diocese of Limburg had refused to pray for the bishop in the canon of the mass, many people (how many really?) are supposed to have left the Church and the bishop was threatened with physical violence. In a word, the odium plebis of which canon law speaks as a reason for the impossibility of exercising the office of bishop, existed without any doubt and would also have existed if the investigation of the bishop had acquitted him of any responsibility. We have to stress this fact. It was known both to the pope and to the Congregation for Bishops in Rome when they passed over the cathedral chapter when appointing the administrator during the vacancy and named an administrator without the participation of the chapter. Whether a cathedral chapter that had so emphatically fostered the emergence of this odium plebis even before clarification of the facts should participate at all in the appointment of a new bishop is regrettably only a theoretical question for canon lawyers. The newspaper of which I speak has a reputation of being “liberal-conservative.” However, the paper takes a broad view of these concepts; it places great value on the fact that in its pages voices are able to speak that depart from the main line of the editorial staff. At least that’s how it was for a long time; those who didn’t like this newspaper often mocked it just for this effort to achieve balance. They accused it of being “gray” but it was a honorable gray that those readers appreciated who didn’t want to be entertained by a newspaper but to be instructed by it in order to form their own opinion. It did happen now and then that this newspaper engaged in real battles, that it tried to throw its political presence onto the scales – but this was rare. All the more astonishing, then, was a series of articles that dealt with the question of whether the participation of the German bishops in the state pregnancy consultation process might make abortions possible. There were two Catholic authors on the editorial staff who fought passionately against the German Catholic Church remaining in this system of consultation – and with success. And after the publication of a major essay of Robert Spaemann against consequentialist ethics the discussion of this question was over. The defeated forces in the German episcopacy remained quiet – but were determined never to suffer such a thing ever again. First, the malicious concept of “culture pages Catholicism” was launched to deny spiritual seriousness to the writing laymen who had been otherwise so eagerly courted. But this was just the initial skirmish. Soon, behind the scenes, matters were arranged so that one could no longer speak of “culture pages Catholicism” which dissented from the ruling milieu of the official sphere of the Church. The tone of the newspaper when the subject of the Church came up had clearly changed; not just in the arguments but also in the mood. Now, it is indeed the case that the interest in ecclesiastical questions among the “liberal,” economically oriented bourgeoisie (which still represented a certain percentage of the subscribers to this newspaper) had become most attenuated. That the articles became more and more polemic, that they offered more and more scope to resentments against the traditional Church – was probably registered by the greater part of the reading public only with a shrug of the shoulders. That was going to change in the case of the Limburg bishop. Gradually it became clear to a greater circle of readers, which in any case clearly exceeded the percentage of interested Catholics, that this newspaper had resolutely bid farewell to a reporting style concerned with objectivity. It had made the financial carelessness of this cleric into a grand affair, which in the language and persecuting zeal followed the examples of the witch hunts against Minister Guttenberg and his fake doctoral degree or President Wulff and his Wuestenrot cottage. Finally, a year ago, on June 24, 2013, appeared an article on page 3 of this publication; in a very prominent place and covering the whole page. This essay was, up till then, without precedent. I would like to dedicate myself to it in detail – reluctantly, so painfully embarrassing is this text. Let me sum up one more time: this article was written before the report of the commission was published. There was a strong opposition movement in the diocese against the bishop. For those not involved, however, its accusations were not really understandable. The bishop was supposed to have spread among his subordinates an atmosphere of paralyzing fear. He was supposed to be “cold.” His residence which, nota bene, would also be that of his successors (it’s not a private home) would be possibly three times as expensive as had first been planned – instead of 3 million euro, the cost was now estimated at 9 million. He was supposed to be “resistant to advice” – ominous words that everyone could so interpret the way he wanted. For example, it could mean that the bishop was not ready without further ado to let himself be manipulated by his own organization. For those knowledgeable of the situation many things speak for this supposition. Tebartz-van Elst had dared to cancel a darling project of his predecessor: the establishment of parishes led no longer by priests, but by laymen, which contradicted canon law. And Tebartz-van Elst did this against the emphatic “advice” of exactly these laymen and of priests intoxicated by a new ecclesiology. But you would find in our essay not a single line on this very serious conflict, which affected the future of the entire Church – even though this was the foundation of the dissension between the bishop and his synod council, his priest councils and the other post conciliar, abundantly inserted Soviets. As we shall see, this essay involved nothing as pedestrian as “information” – maybe “literature” is the more appropriate term. For our article, whose beginning is so “atmospherically dense” (to use the language of a book review), has as its objective nothing less than to condemn a man to civil death before the pronunciation of the verdict. We can see that a mighty shaman is at work here, whose heart’s desire can even chill the cosmos. We hear that journalists shouldn’t describe complex incidents from the perspective of an insider in order that the clueless reader can follow him. Our author therefore is making efforts to describe the Easter liturgy, of which he is the witness, from the perspective of religious ignorance, which he probably correctly imputes to the majority of his readers. And so he hopes to get a laugh, when he presents the Catholic liturgy as a gloomy, dismal spectacle. But here perhaps is a case of overshooting the mark – for a “Grand Entrance” for pontifical vespers on Easter Sunday is a matter of course that doesn’t need to be “summarily ordered.” By the way, the same is true for every parish church on this greatest feast day of the Church. Incidentally, every Sunday High Mass has to begin with this same “Grand Entrance” which represents the royal entrance of Jesus into Jerusalem on Palm Sunday, that paradoxical beginning of the Passion, which at the same time points beyond the suffering and prefigures the second coming. Is a simple journalist expected to know that? Not every one, but certainly this one, since he had studied theology, taken final vows and had been ordained deacon, before he gave up the clerical state. Given his formation, he would have been eminently qualified to explain the treasure of the rituals of the Church to an unknowing public – even though his knowledge of the languages of the Bible is so shaky that he didn’t know what a phalanx is. But it would have been a shame to drop the comical, combative seasoning in describing a procession that was led not by a ghostly hand but by a crucifix. Isn’t it amazing that our author obviously believes he can with class envy arouse emotions against the bishop among his solidly bourgeois readers? It is, once again, atmosphere, only atmosphere – but it becomes ever more poisonous. The rather embarrassing words of the pope may express the experiences of South America, where aftershave is a little inappropriate for a pastor serving in the slums of São Paulo. But the real problem of a diocese like Limburg (well known, of course, to our author) is that it is a church of the wealthy which long ago lost all connection to its own poor – not those in exotic regions. Now the Church and the faithful of the Rhine-Main region do smell of the finest leather – to take up again the specific comparison of our author. The limousine of the bishop is rented, like every other Episcopal vehicle in Germany, at a favorable rate, which might have been known to the author. But “polished to a mirror finish“: does that not awaken associations of luxury, power and control? Haven’t nasty references to bodily features – in this case to the very large eyes of the bishop – long been taboo in political articles? Comments on the appearance of the chancellor (Merkel), for example, would never have made it past the crosschecking editor. But in that case, of course, one would have had to deal with real power, while open season had been declared for a long time on the bishop. Even though there was insufficient damning material available, the holes in the argumentation could be smeared over with a lot of gel. What stays or rather sticks in the reader’s mind is this: obviously, unheard of things must exist against the bishop – yet they remain unidentifiable. The construction site on the cathedral mount “was transformed into a forest of plans”, once again an unhappy image but not a concrete accusation that could provide substance for the conclusion that: “expectation turned into disappointment; strangeness changed swiftly into mutual distrust.” The observation is, of course, very damaging that the bishop has a “need for soulless pomp” in the liturgy as is the suggestion that the faithful had asthma attacks because of the quantity of incense. All clichés from anti-Catholic polemics since Luther’s time – how comforting it is that our author can so soulfully write against them. Joking aside, the complaint about soullessness is always most suspicious – it’s almost always evidence of sentimentality and mendacity. And, apropos mendacity, Max Scheler’s observation is unforgettable: “whoever is mendacious doesn’t need to lie anymore.” Yes, our author tells the truth when he complains that the bishop had acquired, (scandalously – the expression is at the tip of his tongue) – “a new Madonna” for the Cathedral. There may be churches in which there are so many images of the Madonna that another one is not exactly necessary, but the Limburg Cathedral was distinguished from all of other cathedrals in Germany in that there was not a single image of the Madonna for the faithful to venerate. The predecessor of Bishop Tebartz had found Marian presence to be superfluous. That Tebartz had now, after decades, created in his church once again a home for the Beata, is something that he could have made emphatically public. He didn’t do so, presumably out of tact towards his predecessor. But such discretion remains unrewarded in the realm of the media, which are entirely occupied with shouting out loud or gossiping to death. The bishop is supposed to be no longer welcome in the parishes “because on his pilgrimages to the Holy Land he preferred the presence of his chauffeur to that of his clergy, and enjoyed himself in the first rows of seats while the flock of pilgrims had to remain in the back by themselves.” How do you luxuriate in an airplane seat with a plastic tray of shrink-wrapped rolls before you? How do you have an exchange of views with the pilgrim group in an airplane? Our author twists the facts like the hysterical women that kill their husbands in the popular plays of Yazmina Reza. And so on and so forth. And when the meager facts have been totally used up, that tanned fellow sneaks by like the white elephant in the Rilke poem. “I haven’t said a thing”, that’s the motto of the prying concierge that could most appropriately serve as the title of our author’s article. What stones must have rolled away from the heart of our author when the report of the commission indeed found partial responsibility of the bishop for the disorder in his diocese and the pope accepted the resignation request! Where would he have stood if the investigation had found no questionable conduct? Indeed, for a while that appeared to be the case. But we shouldn’t be worried about a journalist like our author. Such people basically don’t take seriously what they’ve written – their contempt for man begins basically with themselves and the superficiality of their actions. An evil press – evil times, evil customs – so could one lament. But it is not that simple. When I protested about this article to the editor of the newspaper he answered with superior irony that, as a Protestant, he observed “with interest developments in German Catholicism”. At first I was irritated at the man’s undisguised gloating – but then I recognized that he was right. No, this article – and the many other things that have been written by our author and many other Catholic journalists in other respectable newspapers – is only in part a problem of the press and its anti-clerical conventions. It is above all a problem of the Catholic Church in Germany and her undiminished readiness, even when exhausted and weak, to tear herself apart and engage in internecine civil war right up to annihilation. Our author is after all less a representative of a newspaper for the intelligentsia, than an unofficial spokesman of powerful forces in the German Church, which provide him with information and designate which dignitaries are to be knocked off. After all, before Bishop Tebartz, it was no less than Pope Benedict, that “god-awful theologian,” in the words of our author. The forty years that have passed since the Second Vatican Council have transformed the German church into a snake pit, inhabited by weak, fearful but extremely vicious snakes. The disastrous system of the Episcopal conference and its almighty bureaucracy ensure that no strong personality has a chance anymore to become a bishop. Even those apparently not totally feeble are held on the shortest of leashes. After the “case” of Bishop Tebartz, it may be interesting to see who of the German prelates succeeds to the Limburg diocese. I will refrain from speculating about the necessary character qualifications. I am not qualified to make prognoses for the future. At the present time I don’t see how the German Church can do justice to its real reason for existence: to reveal to men the supernatural presence of God, give access to the sacraments and witness to the reality of the Incarnation and Redemption. In comparison to this our concerns about a malevolent anti-clerical press are nothing more than the annoyance of a swarm of gnats. Despite our regrets about the disappearance of quality journalism we cannot forget that the Church has tasks other than coming to terms with the newspapers. NOTE: We give here the text, which Martin Mosebach presented on May 1, 2014 in Bonn. He had been invited by the Institute for Social Sciences Walberberg which dedicated its annual day dedicated to the ethics of media to the theme: “Expectations of Quality Journalism in Times of Scandal.” Also participating in this symposium in the Hotel Bristol before 250 attendees was the journalist Günter von Lojewski, formerly Intendant of the Station Free Berlin and Martin Lohmann, editor-in-chief of the private tv station K-TV. The names of the newspaper and of the editor were deliberately not mentioned by Mr. Mosebach but can be easily discovered.